When a patient wants a more youthful appearance to their face, whether it’s wanting to erase those lines between the eyebrows, or perhaps, lifting their fallen cheeks back up, or maybe just improving the overall texture and tone of their skin, age-defying treatments are of huge interest to men and women in their 30s, 40s, and beyond. We all age differently and our appearance is typically an area that most people are concerned about. PRP procedures can help improve the overall appearance and revitalize the skin of patients who opt to try this procedure as opposed to a more costly surgical alternative. Platelet Rich Plasma for Facial Rejuvenation in Jupiter – or PRP is widely known for healing the skin with the body’s natural powers of rejuvenation. One of the single most effective treatments, PRP relies on the harnessing of the body’s own healing and restorative processes to rejuvenate the skin. Other treatments, like Lasers for example, selectively wound the skin to encourage the skin to produce new skin in its’ place. Other skin treatments, creams and facial peels are also designed to help boost and support the skin’s natural healing and renewal processes. 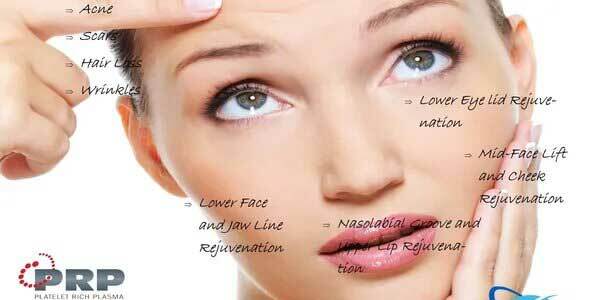 PRP Facial Treatments in Jupiter at NovaGenix in Jupiter, Florida can help you learn more about PRP today. Call 561-277-8260. Platelet-Rich Plasma – or PRP is widely known for healing the skin with the body’s natural powers of rejuvenation. One of the single most effective treatments, PRP relies on the harnessing of the body’s own healing and restorative processes to rejuvenate the skin. Other treatments, like Lasers for example, selectively wound the skin to encourage the skin to produce new skin in its’ place. Other skin treatments, creams and facial peels are also designed to help boost and support the skin’s natural healing and renewal processes. 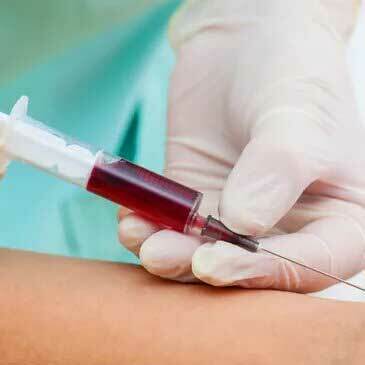 Platelet-Rich Plasma (PRP) therapy is an example of a medical technique being used to improve a patient’s skin using the natural, healing components of the body, specifically within the plasma of their own blood. 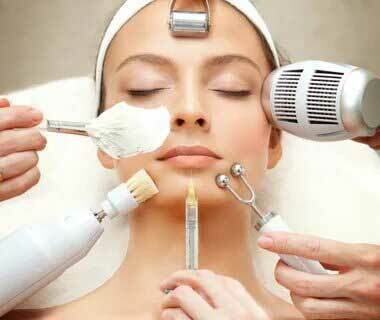 This treatment has also become widely known as the “Vampire Facelift”. How Well Does PRP Work? This type of treatment has been popular and successfully used for many years to help heal wounds and encourage faster recovery and healing, for example in athletes suffering from sports injuries. Tiger Woods, for example has used PRP therapy to recover quickly from knee surgery. Washington Nationals star pitcher Stephen Strasburg has also received treatment on his pitching arm to speed recovery. PRP also has a long history in the treatment of surgical recovery, bone cancer, ulcers, and torn ligaments, and there have been reported successes in a large variety of other conditions. Its truly an amazing procedure that has been very popular in Europe for decades. Recently, PRP therapy has been introduced as a method of rejuvenation for the skin, helping to accelerate normal healing processes and cell renewal by stimulating collagen formation, revascularization (increasing blood supply) and subcutaneous repair. Using a patients own blood means that there is absolutely zero risk of adverse reactions to the treatment, since no drugs are involved. PRP can also be used as a ‘natural filler’ to help restore volume where necessary, helping to create a smooth natural fuller look and glow to the skin. Microneedling used together with platelet rich plasma (PRP), which is sometimes called Collagen Induction Therapy is an exciting and effective treatment for a variety of skin issues like acne scars, scars from surgeries, helping to reduce stretch marks, treating wrinkles, hyperpigmentation, sun damaged skin and sun spots, reducing large pores, and treatment of uneven skin texture. 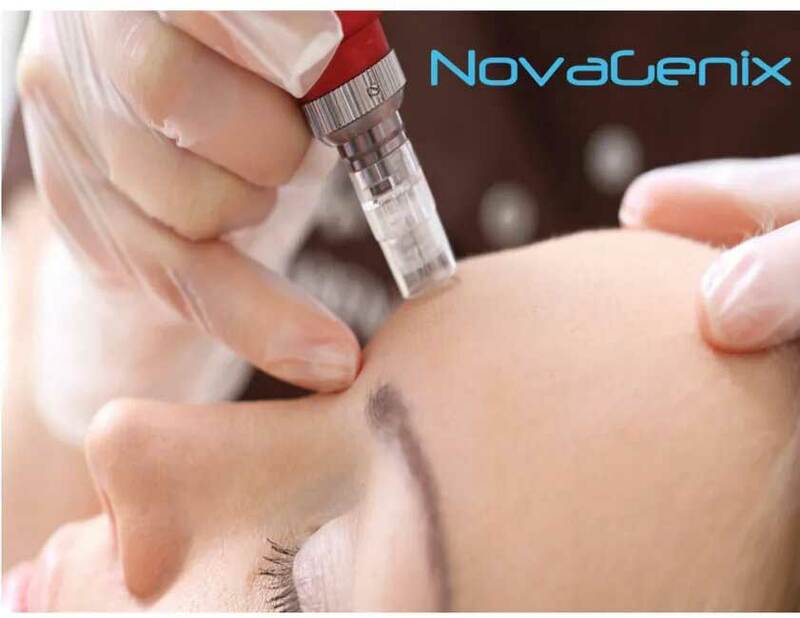 Microneedle treatments and PRP in Jupiter, Florida at NovaGenix may be used on either a person’s face or body, and works regardless of skin color or type. How Does Micronedling with PRP Work? PRP and Microneedling is a minimally invasive treatment to help rejuvenate skin. It is relatively painless and offers a fast recovery time for patients, unlike other more costly and invasive procedures. The object of PRP and microneedling is to stimulate the natural collagen production in a patient by introducing platelets and growth factors into the collagen layers and stimulating the dermal layers with microneedling to draw the platelets into the layer to regenerate new skin cells, which gives a more vibrant youthful appearance. At NovaGenix, our treatments can involve two separate procedures, or combine both together for optimal results. By using micro-needling and PRP (platelet rich plasma) together, we can help people look years younger by allowing their skin to look more vibrant with a beautiful glow. 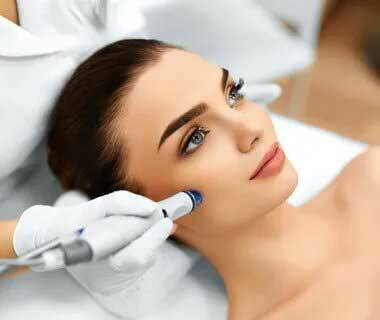 Micro-Needling is a very simple procedure. We use a small hand held microneedling pen. It’s an automatic needling device with interchangeable sterilized, disposable micro-needle tips that we can adjust for both speed and needle depth. When these are passed over the skin, they create several tiny micro-wounds on a patients skin, which helps induce inflammation. When the body initiates the process of wound-healing, it produces more collagen and elastin, which keep the skin more vibrant and smooth. 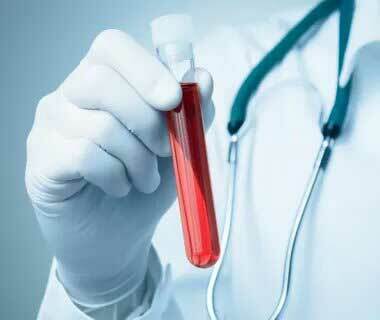 PRP (Platelet Rich Plasma), is prepared from a patients’s own blood sample. 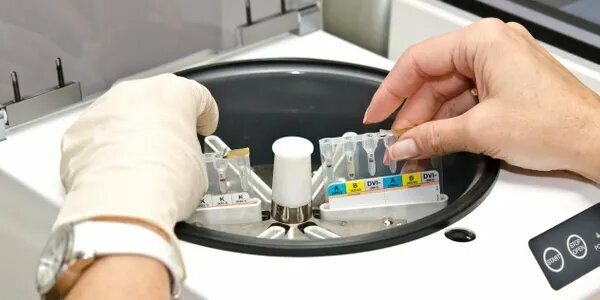 PRP samples contain highly concentrated amounts of platelets and natural growth factors and cytokines. These regenerative cells help to promote cellular division and the growth process of soft tissue and cells. PRP is injected directly into the skin which gets drawn deeper into the dermal layers from the microneedling which can further stimulate the natural process of collagen production and the healing of skin. After microneedling and PRP, the skin may be slightly red and feel as if it had been sunburned. The majority of patients will completely recover within 24-72 hours after the procedure. The body’s collagen production begins slowly and typically takes around four to eight weeks to regenerate, so patients often continue to see improvement over time. We love our patients, so feel free to call during normal business hours.